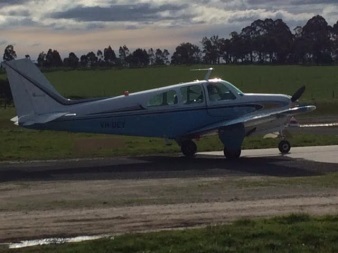 Late August delivered a new plane VH-DEY (Beechcraft Debonair) to the field for Scott and Leanne which arrived from Queensland and welcomed to its new home. This means that VH-DWV Piper Archer PA 28 180 is for sale and looking for its next owner. The lovely sound that is unmistakably a Debonair will be a welcome addition to the field.